I’ll meet you at the ice bar. The entire town, from the residents to the shops and cafés, are all too happy to join in the celebration. There’s so much to do in town, and so much to see. And when it comes to getting around, you have several options. Park the car and hurry to the ticket booth to get a spot on the next train. Then, sit back and relax as you enjoy a slow ride along the beautiful Lehigh River. The Lehigh Gorge Scenic Railway offers stunning views of the barren cliffs and gorge during winter. 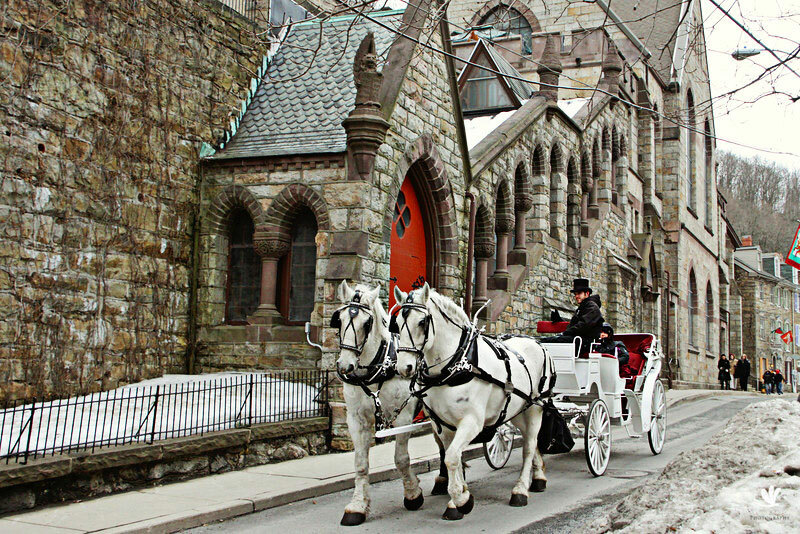 You can also opt to tour the town in style on a horse-drawn carriage. Or, you can get a little adventurous and take that tour in a classic sidecar. You’ll want to begin at the gazebo in Josiah White Park in front of the train station. 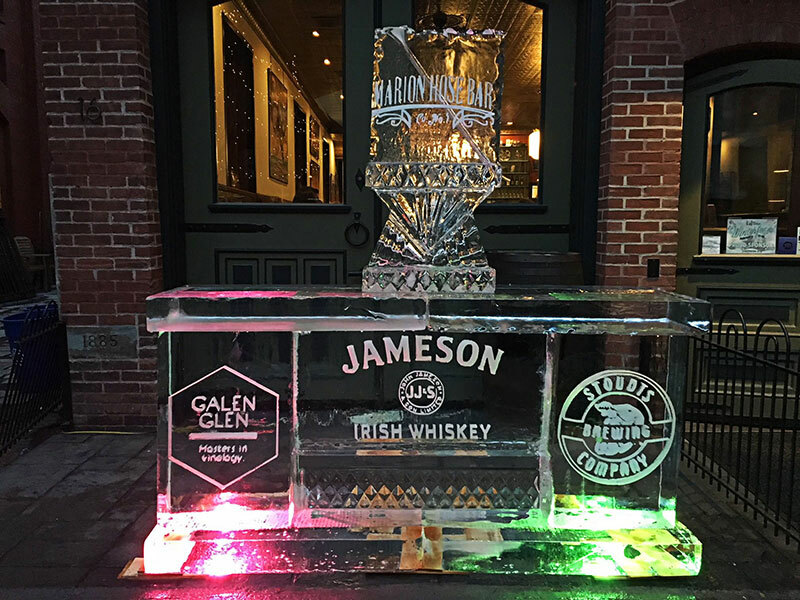 There will be an incredible, sculpted ice throne along with wood and ice carving demonstrations. From there, make your way up Jim Thorpe’s famous and easily walkable Broadway. Stroll from shop to shop and from candy store to café. Just be sure to look up and take in the incredibly eye-catching architecture. And don’t forget to purchase a mug for the annual Mug Walk. Carry the mug with you on your travels through town and get it filled with hot chocolate, soup and other goodies at select stops. You’re gonna’ need a bigger bag. When it’s not about eating fantastic food or admiring the town’s intriguing architecture, Jim Thorpe is all about shopping. All along Broadway, you’ll find adorable book shops, funky toy stores, unique clothing boutiques and so much more. Just be sure to bring your bag carrying muscles. All weekend long throughout town, there will be live, local entertainment. From free magic shows and strolling brass bands to Victorian carolers and folk concerts, there’s no shortage of great music and fun for the kids. Stop by the Mauch Chunk Ballroom for face painting, crafts, snacks and plenty of bouncing. Big kids can visit the historic St. Marks & St. Johns Church for a concert & wine, beer and cheese tasting fundraising event. Tickets are $20 in advance ($25 at the door), and music will be provided by Free Range Folk. There will also be two hand carved ice bars strategically placed in town. You can find them at the Broadway Pub & Grille and the Marion Hose Co. right next to the Opera House. 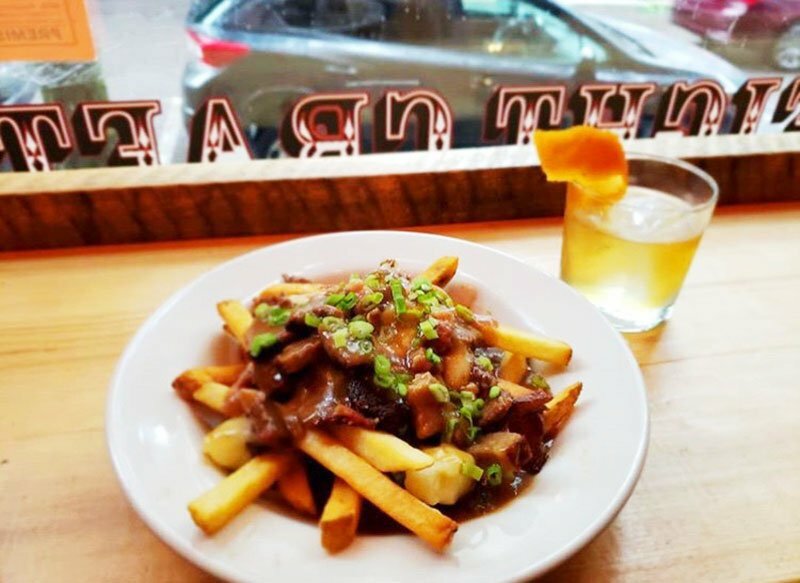 Each bar will feature a drink luge, specialty cocktails, soup and appetizers. It’s always best to show up hungry. Start your day with a fresh pressed juice or coffee and a sweet treat. Then, on to the walking, sightseeing and shopping. In between, you’ll need a break. Pick up a quick pint and a sandwich for lunch at one of the welcoming pubs. And after your scenic train ride or mansion tour head to one of the town’s acclaimed restaurants for an unforgettable dinner. And the occasional ghost story. There’s plenty of winter fun all weekend. But, if you truly want to get the most out of your visit, you have to check out the historic sites. Take a tour of the opulent (and possibly haunted) Harry Packer Mansion. 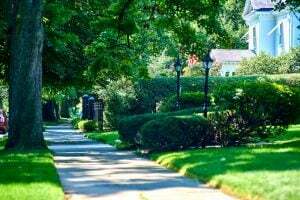 Stroll through the grounds and gardens and get a lovely hilltop view of downtown. 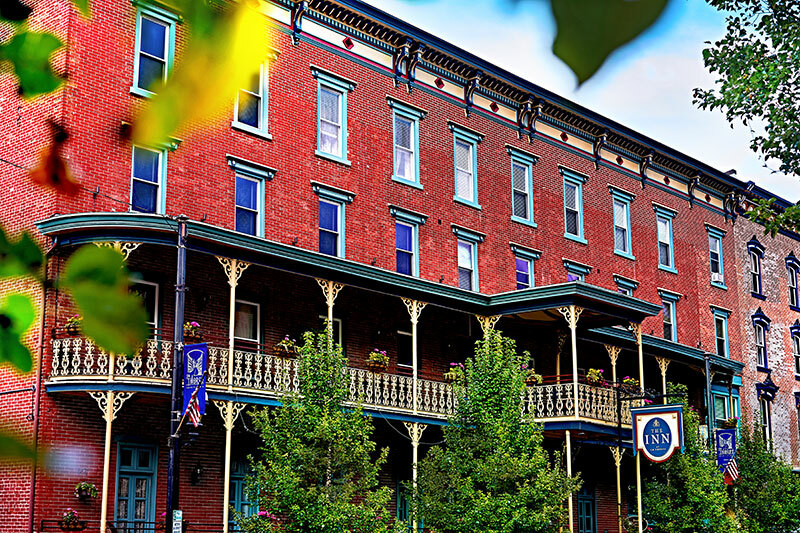 You can also visit the Mauch Chunk Museum for an engaging look into the town’s storied past. And do not leave without stopping by Saint Marks & Saint Johns Episcopal Church. This 19th Century architectural gem is truly a sight to behold. And if you’re running out of time and didn’t get to see all the great sites, or shop in all the great shops, or eat at all of the great restaurants, stay. It’s that simple. We know it’s a tiny town, but that doesn’t mean you can see it all in one day. 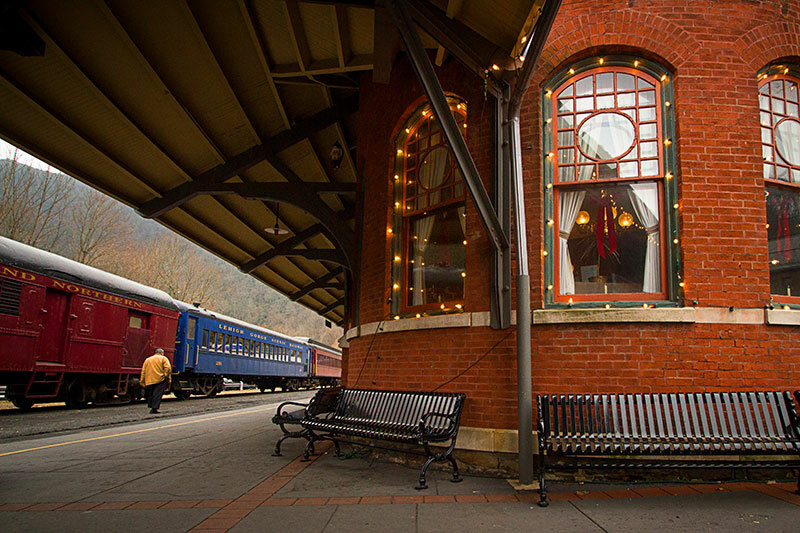 Get the complete Jim Thorpe experience by spending the night – No, the entire weekend. Book your Winterfest stay at one of the town’s incredible boutique hotels or inns. 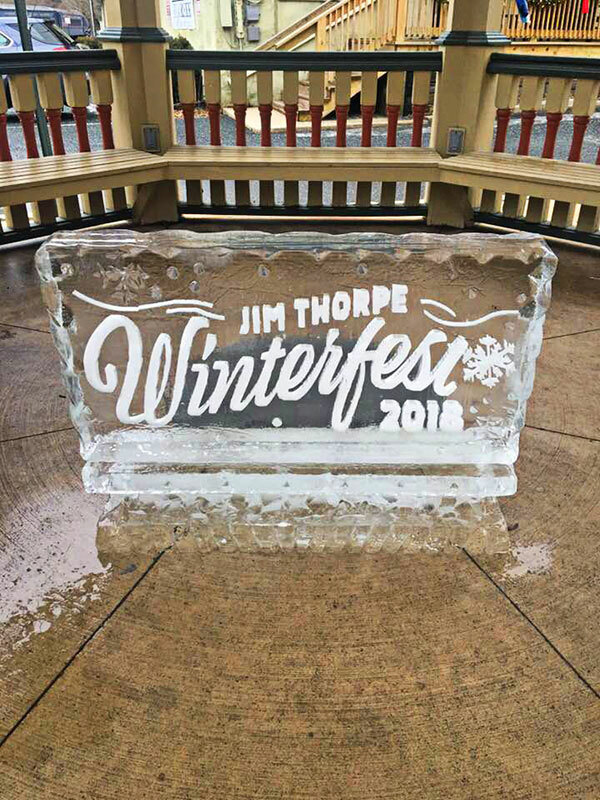 Jim Thorpe’s Winterfest will be going on all day on Saturday and Sunday, February 16 and 17. 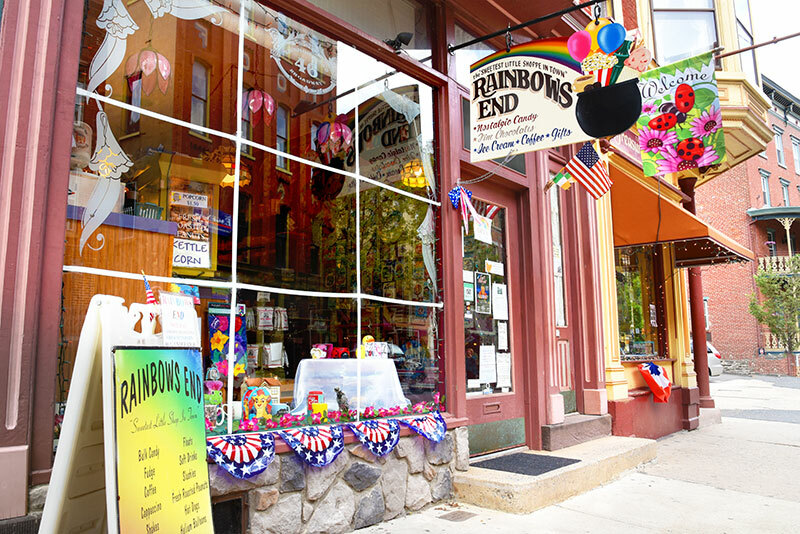 Catch all the February fun in one of America’s favorite small towns. Parking will be available in the County Parking Lot behind the train station on Susquehanna Street. The fee for Lot parking is $6 per car. There is also limited meter parking throughout town. Traffic entering Jim Thorpe during festival weekends can get congested at times. Be sure to plan accordingly.